There are wildlife tours to be taken on the island and sea trips where you can observe wildlife, seals, dolphins and whales. There is a new Sea Life visitors centre in Tobermory where boat trips can be arranged. 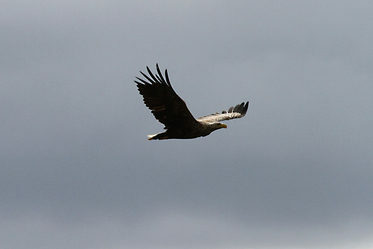 The Eagle Hide at Glen Seilisdeir is open from March 25th 2013 through to Autumn (closed in the winter) and Rangers take guided trips to the area. 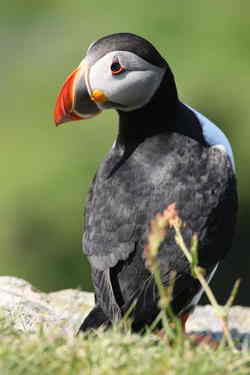 Booking is essential, you can book at the Craignure Visitor Centre on 01680 812556 or with the Rangers on 07920 817362. 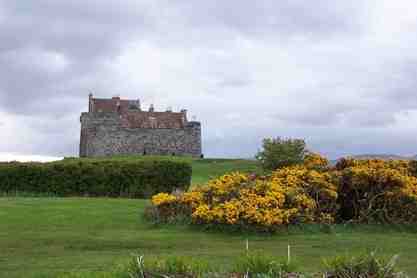 About a mile from Lochdon you can visit Duart Castle home of the clan Maclean, where you can visit the castle and tea rooms, and also enjoy the various activities that take place at the castle between April and October. Travel on and you come to Craignure where you will find the Tourist Information centre and the ferry terminal. There is a lovely pub, The Craignure Inn, which serves excellent meals. Arlene's coffee shop, by the ferry terminal, also serves very good food at reasonable prices. Opposite the ferry terminal there is a Spar general store with post office and petrol. Macgregor's Roadhouse also serves meals and snacks. 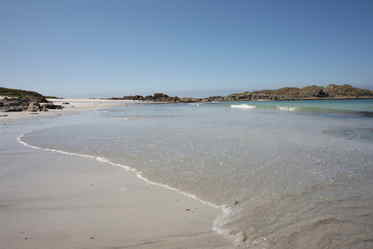 There is a newly built swimming pool at The Isle of Mull Hotel for public use. 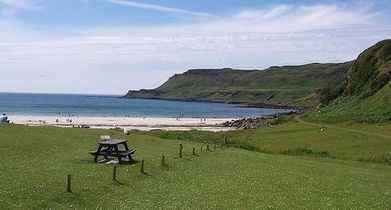 About a mile further on is the Craignure golf course, that welcomes visitors. About 10 miles further is Salen a small village with a Spar shop, post office, the Mediterranea Restaurant, a coffee shop and filling station. Along the coast road you can usually see seals basking on the rocks. 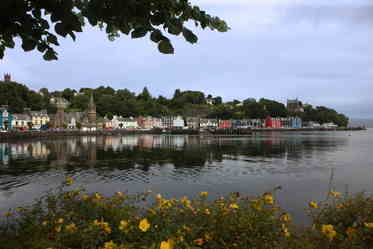 Another 15 miles and you come to the main town Tobermory, with it's famous coloured houses built around the bay, this is where the children's program Balamory is set. There is an assortment of shops including a Co-Op supermarket, a pharmacy, a wonderful bakers and an excellent book shop. There are also several restaurants and a fantastic fish and chip van. At the Distillery you can take a tour and see how whiskey is made and sample the produce! 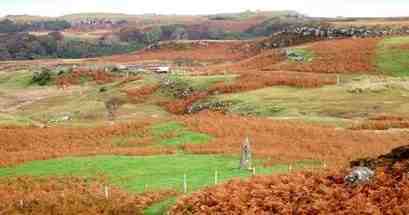 At Dervaig you will find The Old Byre Heritage Centre showing Mull through the ages. Carry on around the island to Calgary and a lovely sandy beach. restored croft cottage and much more, it's well worth a visit. Another must is a sea trip with Mull Charters aboard The Lady Jayne, where the most fantastic sights can be seen including Dolphins, Minke Whales and Sharks, Sea Eagles and Otters. 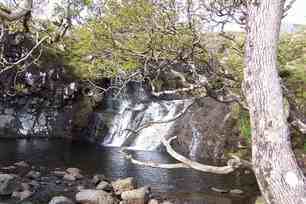 See the magnificent Eas Fors waterfall at Ballygown. 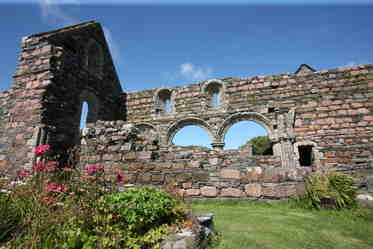 From Lochdon you can travel south through the great glen to Bunessan and Fionnphort and take a ferry to Iona, where you can visit the Abbey, which is a very spiritual place, and enjoy Iona's beautiful sandy beaches. 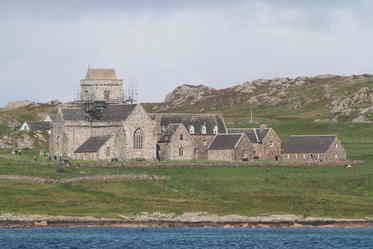 Iona has been a place of pilgrimage for 1500 years and it was a focal point for the spread of Christianity throughout Scotland. 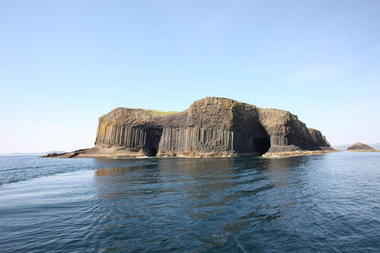 Staffa Tours run from Fionnphort, to Iona, the Tresnish Isles, Staffa and Fingals cave. 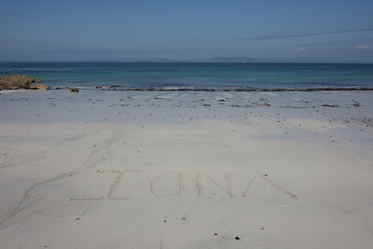 Lunga the largest of the Tresnish Isles is designated a Site of Special Scientific Interest because of its abundant plant life. Many rare and endangered plants are native to the island. 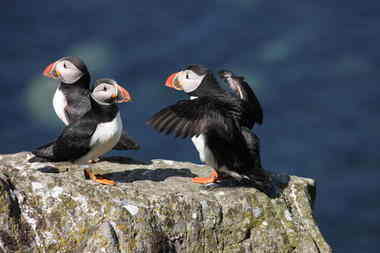 Grey seals inhabit the waters surrounding the island, while birdlife includes storm-petrels and kittiwakes. 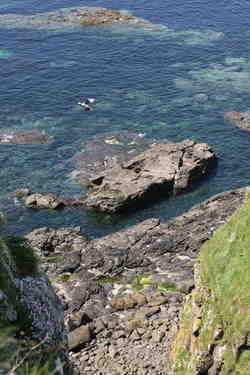 Guillemots, puffins and razorbills breed on Lunga and on the Harp Rock. Barnacle geese appear each winter. Turus Mara run trips to the Tresnish Isles, Staffa and Fingals cave. 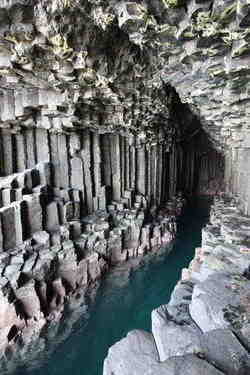 Mendelssohn is said to have been inspired to compose his Hebrides Overture, by a visit to Fingals cave.